Commercial Property Listings, Offices for Sale & Rental Properties. If you’re looking for a commercial property company capable of finding the right offices to let for your business across South Africa. Black Snow Commercial Properties brokers is your best choice of the widest range of offices to rent in South Africa. By using the Black Snow Commercial Properties brokers advanced "office space to rent or office space for sale" search functionality on this Commercial Property letting and sales' website, you can search and browse offices to let or offices for sale in South Africa. 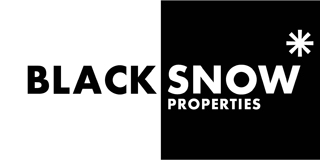 Black Snow Properties management team has over 30 years experience in a range of retail, commercial and industrial properties. Black Snow Commercial Properties has identified a need to provide dedicated and bespoke professional advice to the commercial property rentals and commercial property sales industry. Finding office space to rent locally in your area is made easy by using Black Snow commercial property to rent search results which are refined, which allows you to find the right commercial property to rent. Black Snow Commercial Properties makes it easy for you to search our diverse and varied mix of commercial property to rent, regardless of whether you need a office to rent in Johannesburg or the rest of South Africa. We rent commercial property across South Africa, offering office space to let in Johannesburg, Cape Town, Pretoria and Durban to name a few. Our service-driven commercial property business is designed to give you a quick and efficient solution in office space rentals when searching for commercial property to rent. Our in-house commercial property team of qualified commercial property letting professionals will ensure you find the correct office space to rent, which suit your requirements and your budget.